PHOTO: Allen Ramsey, DWCPhoto.com. Highlands senior Joe Steiden makes a catch in a recent game. The Highlands Bluebirds baseball team (14-6 overall) earned its second win over the visiting Beechwood Tigers this season with a 2-1 victory. PHOTO: Allen Ramsey, DWCPhoto.com. 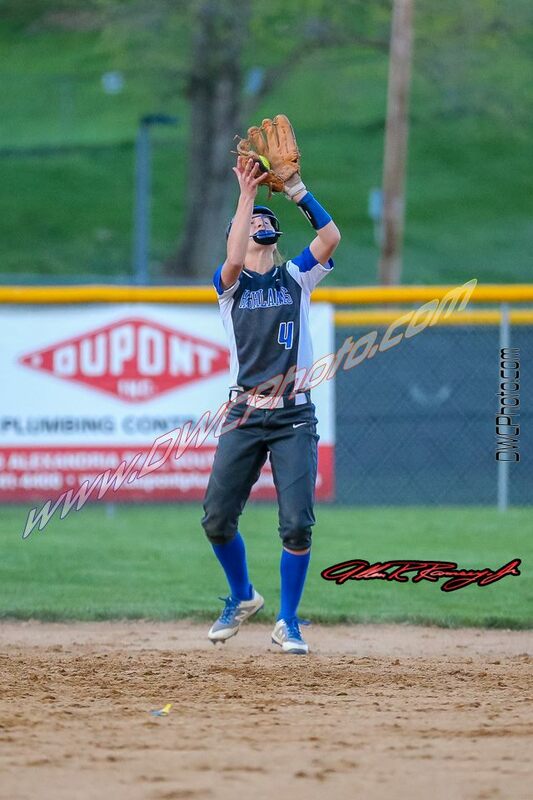 Highlands eighth grader Anna Greenwell catches the ball for an out against Ashland on Friday. The Bluebirds dropped two over the weekend in Paris to fall to 8-6 on the season. 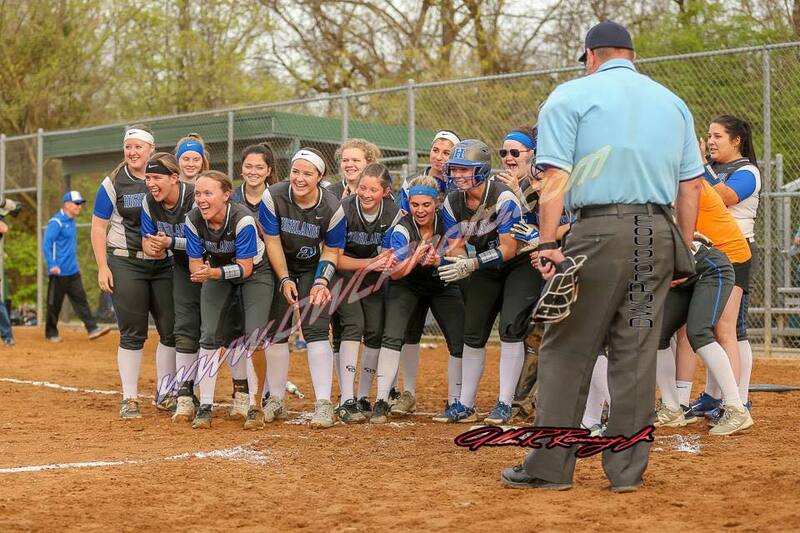 The Highlands Bluebirds softball team (8-6 overall) headed down to Paris on Saturday hoping to bring back two wins. But that did not happen in either game in the John Sosby Memorial Classic. Highlands lost 13-4 to the Franklin County Lady Flyers (11-12) in five innings then 11-3 in the second game of the season against the host Bourbon County Lady Colonels (17-6). The Bluebirds have lost four in a row. PHOTO: Allen Ramsey, DWCPhoto.com. Highlands junior Cooper Schwalbach connects for a home run against Bellevue on Friday. 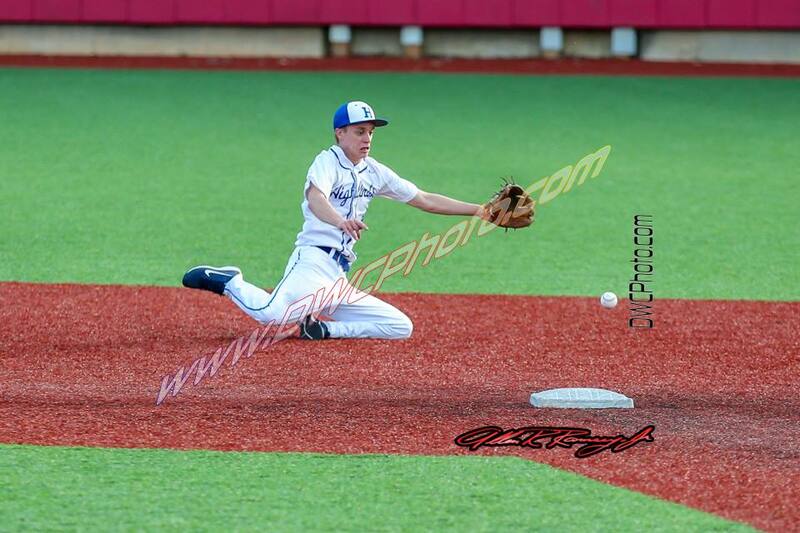 The Highlands Bluebirds baseball team has not lost to a 36th District opponent since 2012. The Bluebirds (13-6 overall, 2-0 district) took another step toward a top seed in the district tournament with a five-inning 12-0 win over the Bellevue Tigers (2-11, 0-2) on Friday at Highland Park. Highlands has won six consecutive district championships. PHOTO: Allen Ramsey, DWCPhoto.com. 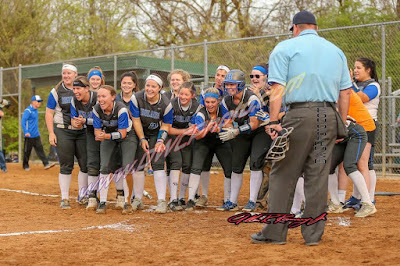 The Highlands Bluebirds softball team waits at home plate after junior Rachel Gabbard hit a home run in the third inning against Newport Central Catholic. The Bluebirds won 9-0. It can be hard to keep up in the scorebook with this team. 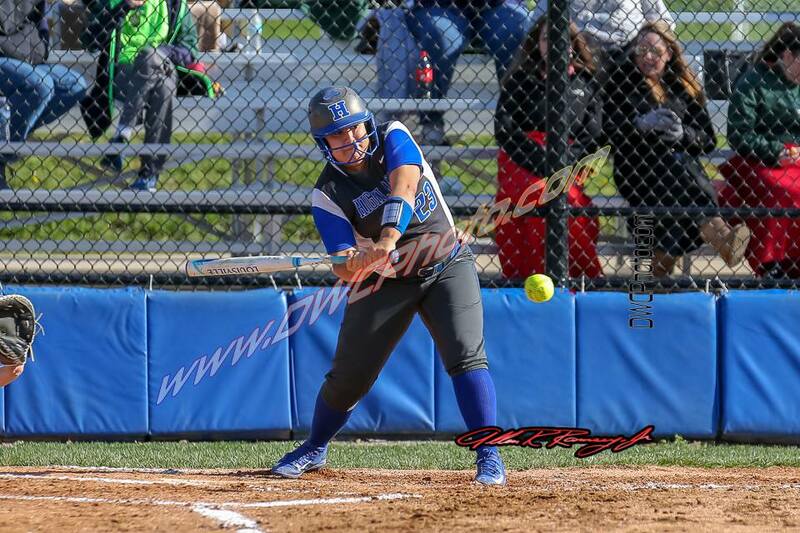 But for years, the players and coaches on the Highlands Bluebirds softball team have wanted to develop that depth to compete with the top teams in the Commonwealth of Kentucky. 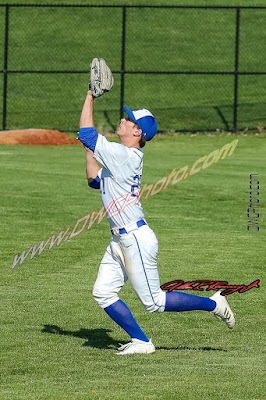 The depth once again showed itself in a crucial 9-0 36th District win over the Newport Central Catholic Thoroughbreds on Thursday at Veterans Memorial Park. It marked the first district game for both teams. PHOTO: Allen Ramsey, DWCPhoto.com. 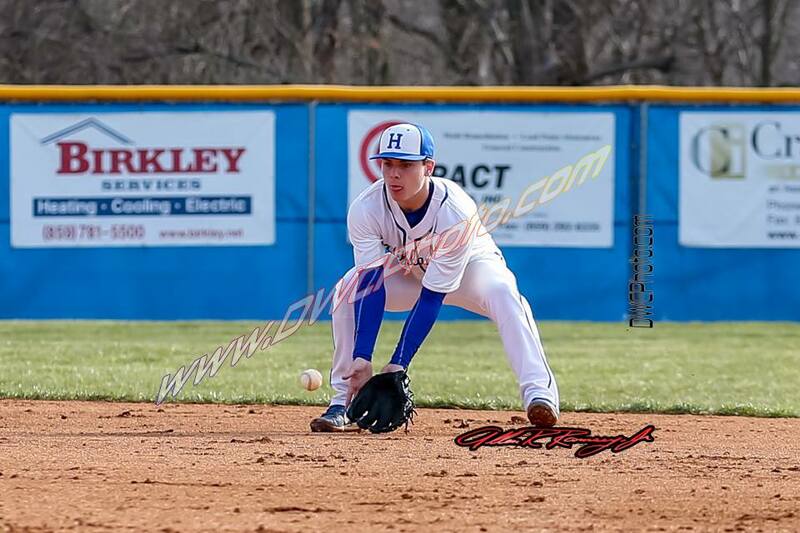 Highlands senior first baseman Tyler Gulley makes a play at first base against St. Henry on Saturday. It did not take long for the Highlands Bluebirds baseball team to put the Friday disaster behind. Highlands (12-5 overall) started its Saturday home game against St. Henry about 17 hours after starting the Friday evening game at Great American Ballpark at 8 p.m. 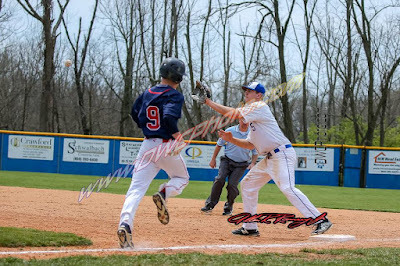 The Bluebirds took out their frustrations of the 11-0 six-inning run-ruling loss to Covington Catholic on Friday with a 17-0 obliteration of the St. Henry Crusaders in five innings. PHOTO: Allen Ramsey, DWCPhoto.com. Members of the Highlands baseball team and coaches salute the flag at Great American Ballpark before facing Covington Catholic on Friday. 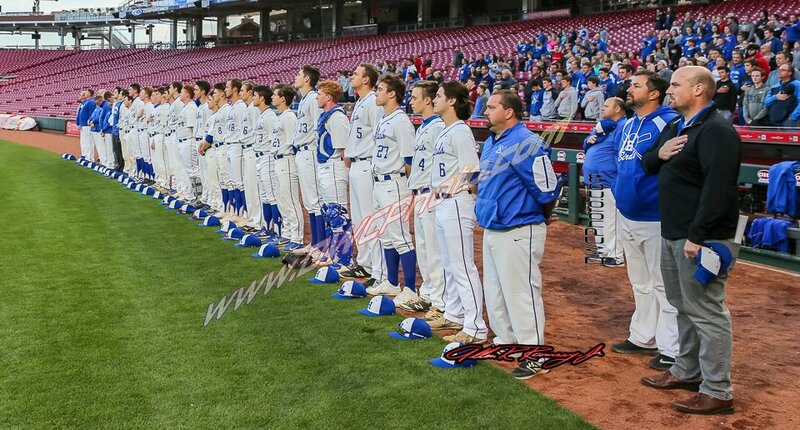 It did not turn out to be a good day for the Blue and White in their second appearance at Great American Ballpark in two years. Facing the arch-rival Covington Catholic Colonels (10-4 overall) in front of about 1,000 of their fans, the Bluebirds (11-5) hoped to earn a huge 9th Region victory. Instead, the Colonels scored six runs in the fourth inning on their way to an 11-0 six-inning run-ruling Friday. PHOTO: Allen Ramsey, DWCPhoto.com. Highlands senior Ella Grimm turns into a pitch against Cincinnati McNicholas on Thursday. Highlands scored three in the bottom of the seventh to win 8-7. The Highlands Bluebirds baseball team knew it would face three 35th District teams in two days starting with a doubleheader at Meinken Park in Covington. PHOTO: Allen Ramsey, DWCPhoto.com. 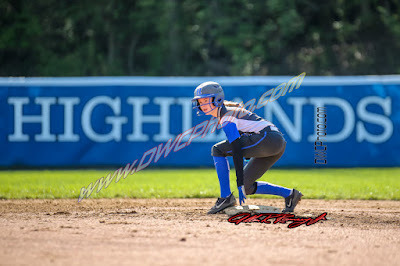 Highlands freshman Caroline Class waits at second base to make a move in a recent game. The opponent came north as defending 10th Region champions. But the Harrison County Fillies (1-8) are struggling this year. Part of that can be attributed to injuries as junior pitcher Jima Hill is currently battling back injuries. But the Bluebirds continued their nice play recording their fourth straight win to move to 6-2 on the season with an 11-5 non-region home win Wednesday. 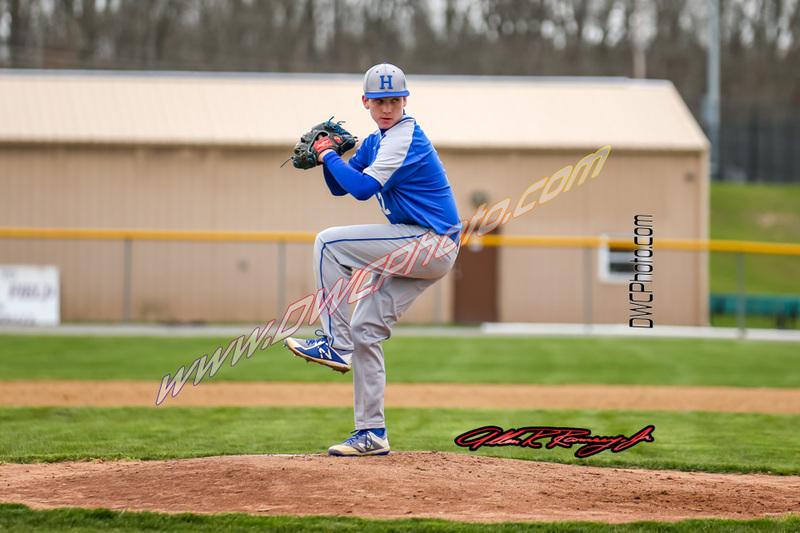 Highlands lost 10-1 in six innings against Harrison County in Cynthiana last year. PHOTO: Allen Ramsey, DWCPhoto.com. Highlands senior Brooke Dill lights into a pitch against Cooper on Tuesday. Highlands won its third in a row with a 16-7 win. It was one of those innings that turned into a coach's dream. The Highlands Bluebirds softball team (5-2 overall) scored 11 runs in the first inning on its way to a 16-7 9th Region win over the Cooper Lady Jaguars (2-6) on Tuesday. The Bluebirds have won three straight and improved to 4-0 in region play. Field conditions moved the game to Fort Thomas. PHOTO: Allen Ramsey, DWCPhoto.com. Highlands junior Tanner Juett fires to the plate in a recent game. A nine-run first inning for the Greenup County Muskateers spelled the end of the eight-game winning streak for the Highlands Bluebirds baseball team (8-4 overall). The Musketeers (14-2) made the lead stand up for a 9-2 rain-shortened win in 4.5 innings. Greenup County has won seven straight. The Musketeers rallied past Beechwood, 9-6 Friday. PHOTO: Allen Ramsey, DWCPhoto.com. Highlands senior Sam Hennigan tries to make a play Friday in the Doc Morris Invitational at Beechwood. 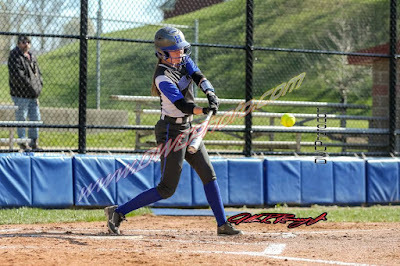 Highlands beat Lexington Tates Creek, 7-6 in 10 innings to extend its winning streak to eight straight. It took an extra three innings to extend the streak. 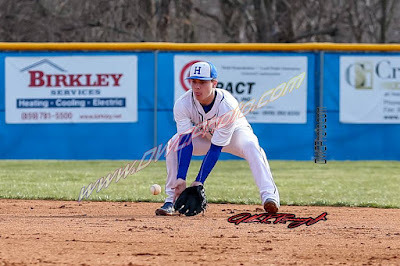 But the Highlands Bluebirds baseball team (8-3 overall) defeated the Lexington Tates Creek Commodores, 7-6 scoring the game-winning run in the bottom of the 10th. Sophomore Ethan Kavanagh led off the inning with a double and senior Drew Rom singled him home. PHOTO: Allen Ramsey, DWCPhoto.com. Highlands sophomore Ethan Kavanagh digs in to make a play on the ball against Beechwood on Thursday. Highlands beat the Tigers, 9-6. The game-winning run stood at the plate. 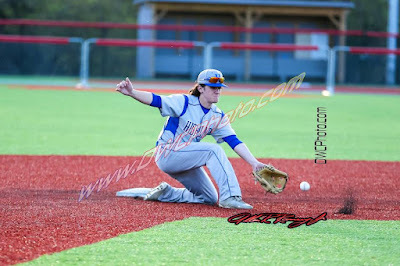 But the visiting Highlands Bluebirds (7-3 overall) held on for the 9-6 9th Region victory over the Beechwood Tigers (8-3) on Thursday to start the Doc Morris Invitational. Highlands has won seven straight and moved to 2-0 in 9th Region action with the victory. PHOTO: Allen Ramsey, DWCPhoto.com. Highlands Eighth Grader Addie Mack snags a ground ball Wednesday. 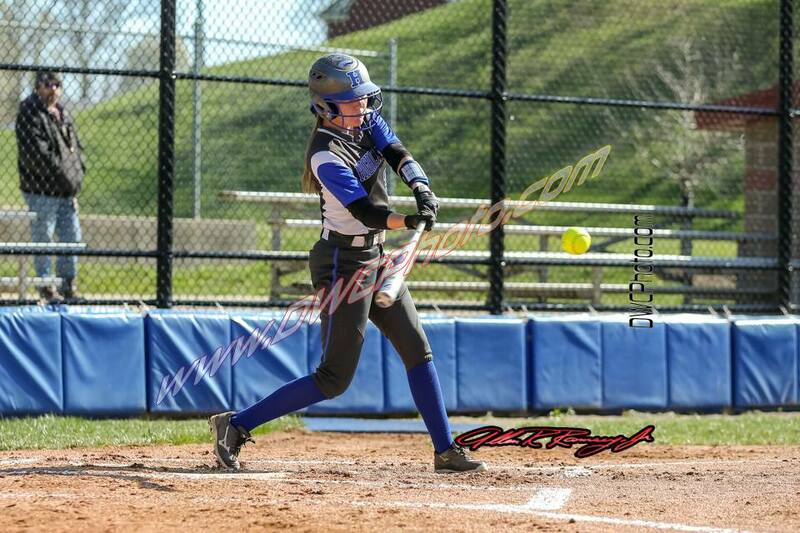 Mack had three hits including a double to help the Bluebirds to an 8-2 9th Region victory. Head Coach Rob Coffey said the Blue and White left a lot of runners on base. But the sixth-year Highlands Bluebirds softball head coach and staff like the number of chances they received in their 8-2 win over the visiting Conner Lady Cougars (0-3) on Wednesday. Highlands (4-2) moved to 3-0 against 9th Region competition with its third straight win. PHOTO: Allen Ramsey, DWCPhoto.com. 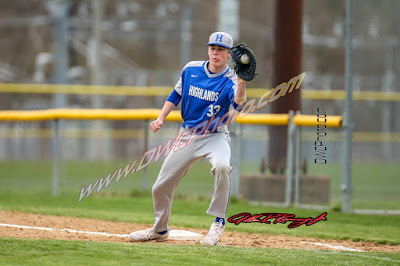 Highlands junior pitcher Steven Grimme delivers to the plate in a recent game. 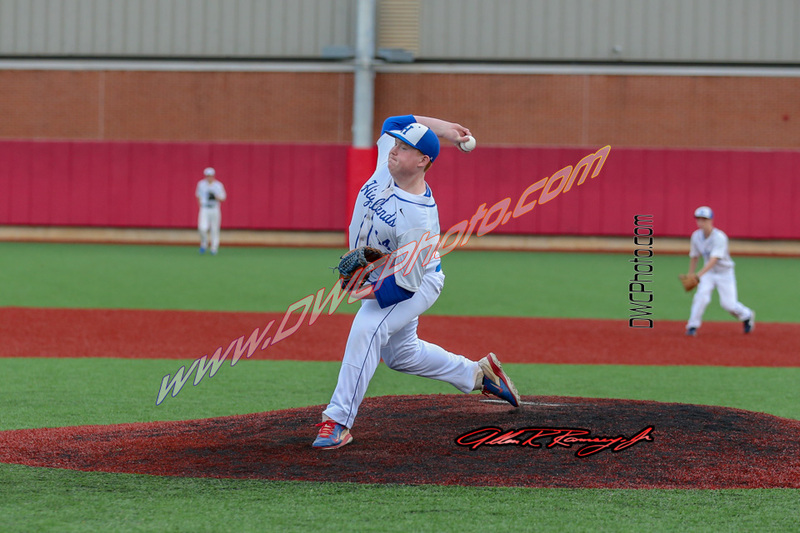 Grimme threw an inning in the 10-3 win over Dixie Heights on Monday. The Bluebirds have won six in a row. 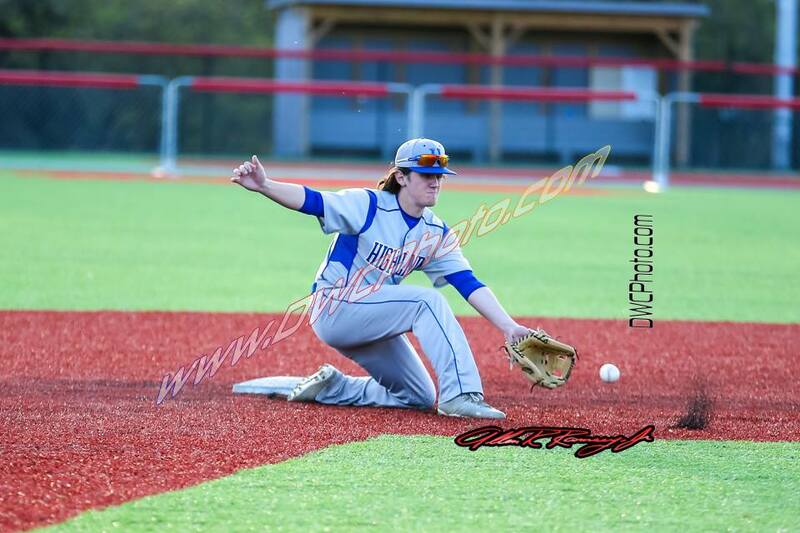 The Highlands Bluebirds baseball team won its first 9th Region game of the season, 10-3 over the visiting Dixie Heights Colonels on Tuesday. PHOTO: Allen Ramsey, DWCPhoto.com. 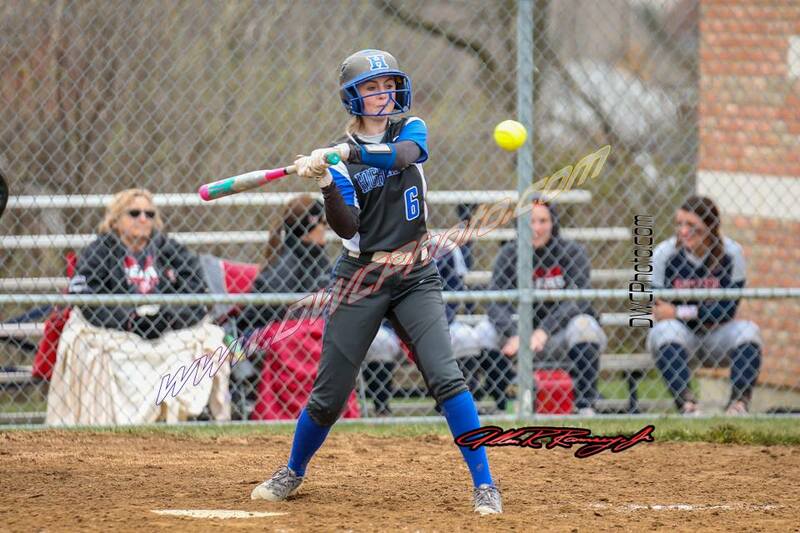 Highlands sophomore Piper Macke takes a swing in a recent game. The Highlands Bluebirds softball team (3-2 overall) had not played in a week. But Highlands made sure it did not hurt them too much in a 9th Region game. The Bluebirds took down the Covington Holy Cross Lady Indians, 13-0 in five innings. PHOTO: Allen Ramsey, DWCPhoto.com. Highlands senior first baseman Jackson Recht records an out at Campbell County on Friday. The Bluebirds have won five straight with the 8-7 win. The Highlands Bluebirds baseball team (5-3 overall) took down the host Campbell County Camels (2-2) by an 8-7 count Friday. Highlands moved to 3-0 against Kentucky competition. This marked the first game against a team from Northern Kentucky after a number of rain-outs. PHOTO: Allen Ramsey, DWCPhoto.com. Highlands senior Grant Summers field the ball in a recent game. 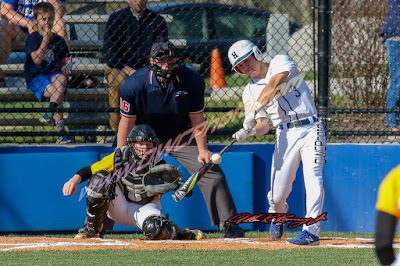 The Highlands Bluebirds baseball team moved to 4-3 on the season with two more wins in Myrtle Beach (South Carolina) Monday. PHOTO: Allen Ramsey, DWCPhoto.com. 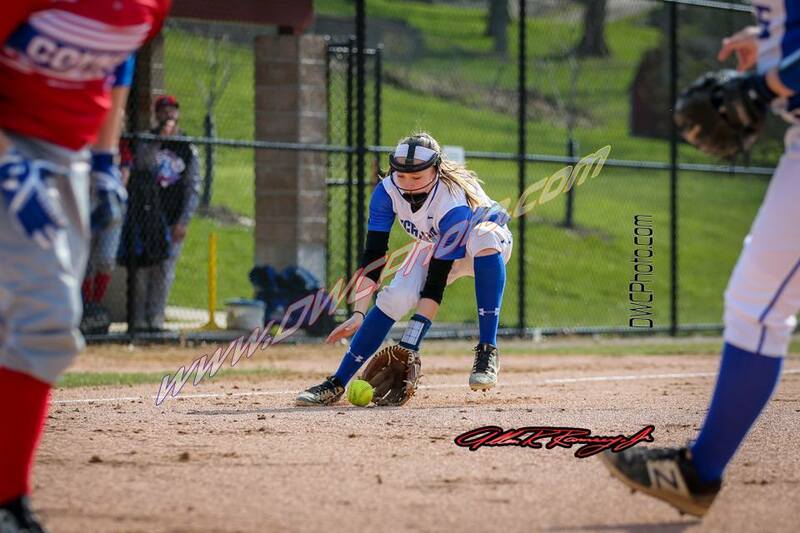 Highlands sophomore Taylar Lorenzen makes a play at first Saturday. 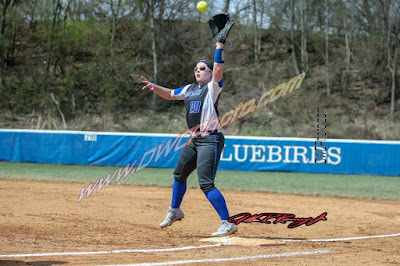 The Highlands Bluebirds softball team went 1-1 in two home games Saturday to move to 2-1 on the season.